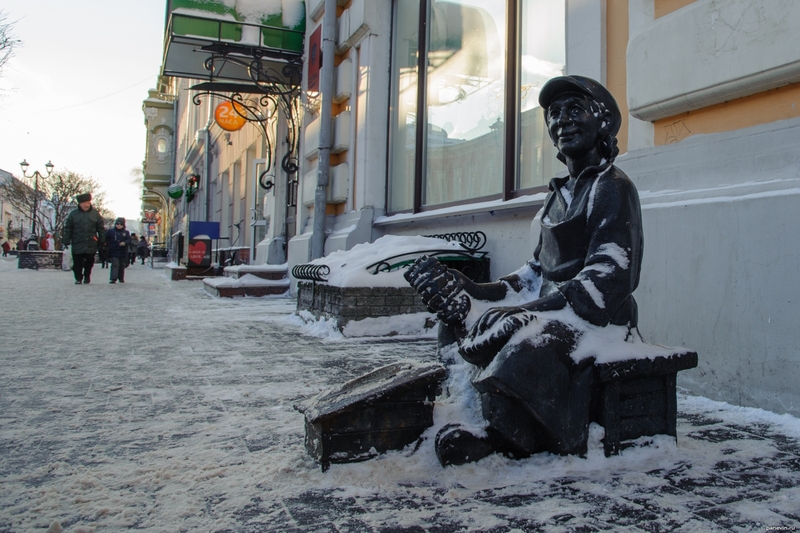 Sculpture "Shoe Cleaner", Nizhniy Novgorod, Bolshaya Pokrovskaya street. Similar sculpture is in Chelyabinsk . Blog, posts children, Nizhny Novgorod.